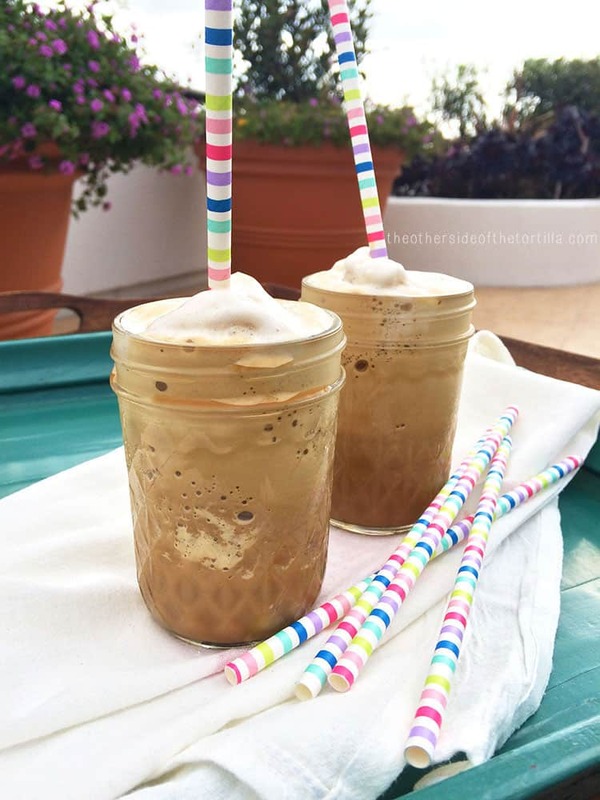 Make this frozen café con leche in your blender at home with just a few ingredients! Who doesn’t love a good café con leche? I have one a few days each week, but I almost always make them at home instead of buying them. My mom and I share a love for making copycat recipes at home. It’s become almost a game between us, and has been for many years. 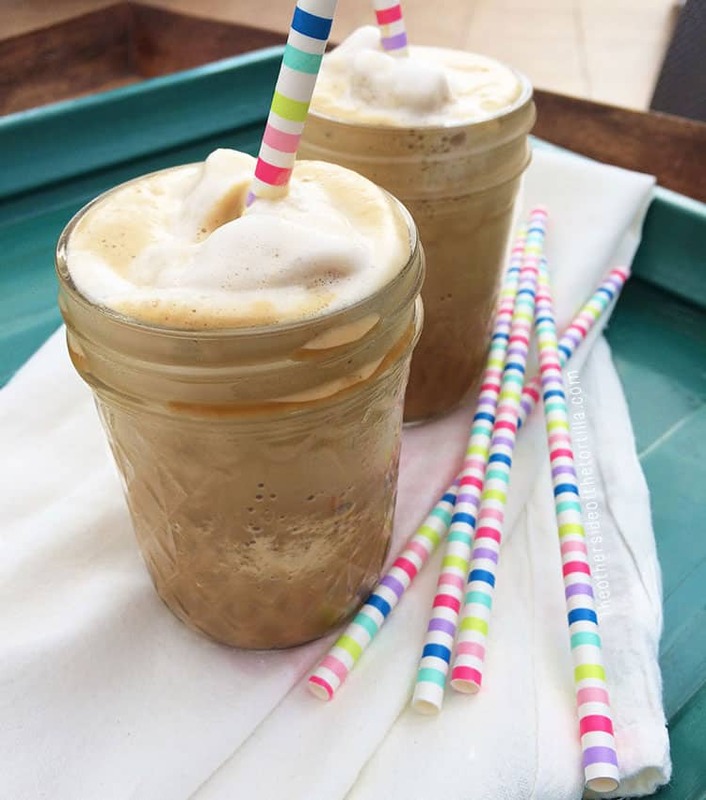 Why pay $6 or more for a large coffee house drink I can make better at home, and for much less money per serving? This post is part of a compensated campaign with Nestlé El Mejor Nido. All opinions and the recipe here are my own. I definitely inherited my mom’s gift for recreating recipes, so I’m grateful that she shared her love of cooking and experimenting in the kitchen with me. 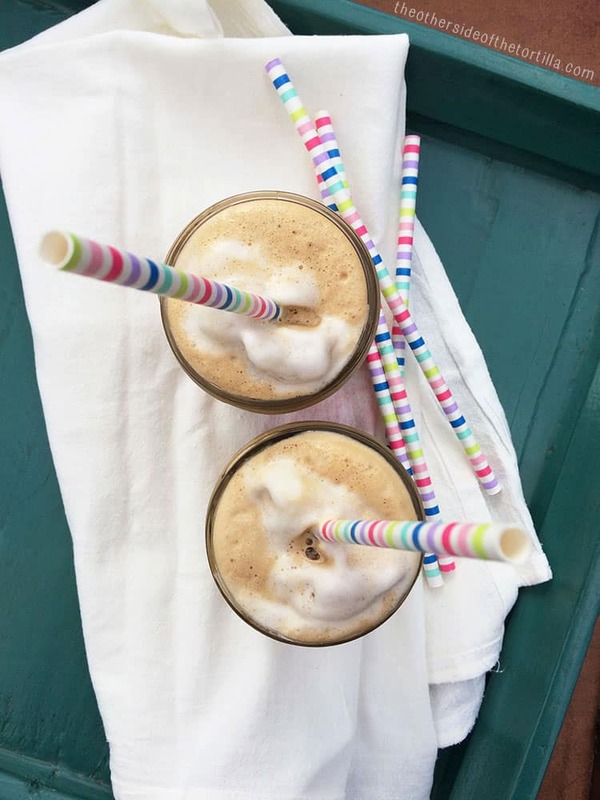 I created this frozen café con leche with my mom in mind. She usually will ask me what kind of coffee I’m drinking lately, and then she gets hooked on it too. So even when we can’t have a cafecito together, we can at least enjoy the same drink despite the miles between us. I like to prepare the cafe con leche mixture the night before, freeze it overnight and then put it in the blender the next day. 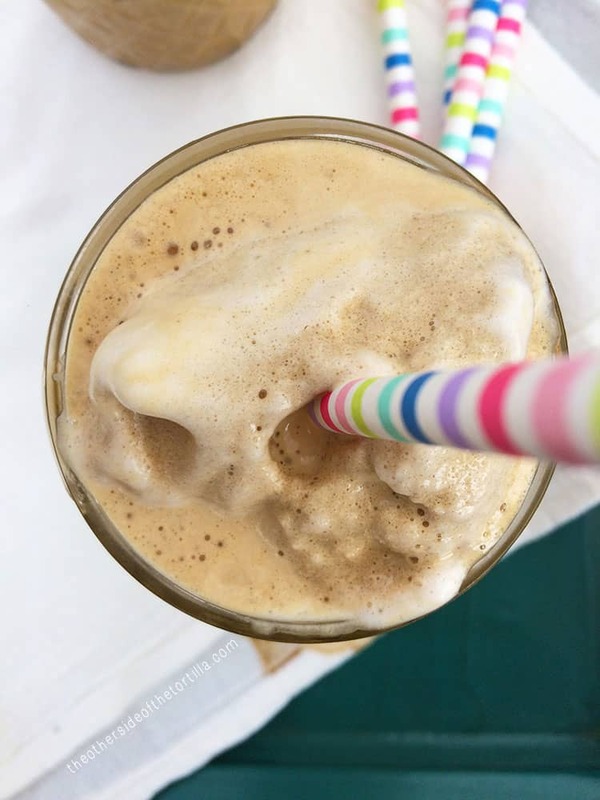 If you’re concerned about calories because you want to drink this frappe regularly, I recommend using the fat-free evaporated milk. Obviously, the fuller the fat, the creamier the milk, so you decide what works best for you. Visit ElMejorNido.com for more recipes and Nestlé product information. Pour 2/3 cup of evaporated milk into a measuring cup, add 3 tablespoons Nescafé Clásico and stir well to dissolve. Pour liquid into an ice tray and freeze for at least 90 minutes. Remove from freezer once frozen and place in a blender. Add 1 cup ice cubes, 2/3 cup water, and 2 tablespoons sweetened condensed milk to a blender. Blend on high until contents are a smoothie-like consistency. Taste with a spoon to see whether you'd like to add more sweetened condensed milk. If so, add 1 tablespoon at a time and blend well to incorporate. Pour into cups and serve with a straw. I only ever use evaporated milk in my coffee and seeing this excites me! Besides, I’m a Nescafé girl all the way — I make iced coffee using these ingredients 🙂 Going to try the frozen way.